There is nothing better than warming up with a cup of hot chocolate, am I right? Especially during these upcoming cold winter months, it seems like there is nothing that soothes the body more than sipping on something warm and toasty. I was so excited that many of you reached out and shared your success with my most recent Apple Cider Bone Broth recipe! 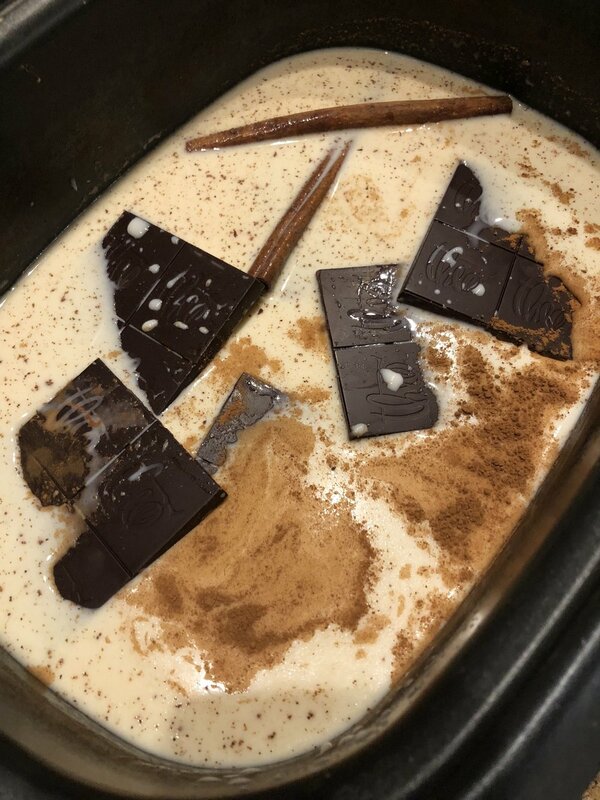 I always love when you all share your creations with me, it made me happy to see everyone branching out and getting a little adventurous with their bone broth. I love encouraging people to get creative with their broth and use it as many ways as possible, like in blended soups or even in oatmeal! Since the Apple Cider Bone Broth was so well received, I decided to experiment with hot chocolate. Needless to say, it was another success! First, you need a very mild broth for this recipe. When I say mild, I mean a short cooked broth (about 8 hours) and the fewer ingredients the better. This means, throw a whole chicken in your slow cooker, cover with water, and in 8 hours strain everything from your slow cooker and there is your "mild" broth. Any of the robust broths won't work as well, unless you like hints of onion and garlic in your hot chocolate! I have found that Bonafide Provisions makes a very mild chicken broth that also works well in this recipe if you would rather pick one up at the store than make your own. Also, this recipe calls to slow cook your hot chocolate and the reason being is so that all of the flavors have time to combine. I tasted the hot chocolate shortly after the chocolate melted and while it was delicious, it tasted much more aromatic and flavorful after it had slow cooked a bit. Just make sure to keep the temperature as low as possible and stir a few times in between.